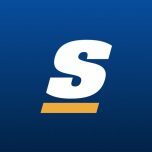 theScore brings you real-time sports scores and news from the teams you care about, with deep coverage of MLB, NBA, NFL, NHL and major soccer leagues! Simply ask theScore Bot for scores and news for your favorite teams and it will deliver it instantly. You can also add theScore Bot to group chats, to keep you and your friends up to date on the latest and greatest for your favorite teams and leagues. Hit 'chat' now to get started! theScore Bot is waiting to keep you up to date on sports headlines and scores!